Common knowledge to those who follow the ins and outs of Obamacare is that there is an industry out there to destroy it at all cost. The traditional media has been the major conduit of the lies and misinformation. Corporate traditional media continues to mislead and misinform. It isn’t only the smaller media outlets that are generating the barrage of misinformation. CBS News whose ‘60 Minutes’ has been compromised with Benghazi and NSA misleading stories has been a major culprit. After-all CBS’s Jan Crawford reported a story about a woman losing the insurance she loved and could afford. It turned out had CBS made one telephone call or just checked healthcare.gov they could have informed the woman that she could get much better and reliable insurance for a comparable price. It is a new day in media. Corporate owned major media that sometimes seem to purposely allow themselves to be a conduit to lies and misinformation are being challenged. Bloggers and other independent media that previously had little reach are now fact checking. They are using the power of the internet to inform with fact based information and not hit pieces that is now endemic in the traditional media. happened under the ACA, but the doctor denies this ObamaScare story. 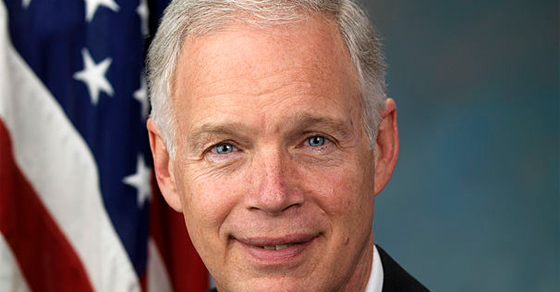 Photo of Senator Ron Johnson (R-WI) from official 112th US Congress portrait via Wikipedia. Republican Senator Ron Johnson (Wisconsin) has repeatedly told his followers that a reconstructive heart surgery saved his baby daughter’s life, 30 years ago. Using the story to try to sway voters away from the Affordable Care Act (ACA), Johnson claimed that his daughter’s heart surgery wouldn’t have been possible, under the ACA. As it turns out, however, the doctor who performed his daughter’s surgery does not agree with Johnson’s false interpretation of the law. Not only that, but he provided the Uppity Wisconsin with a great deal of insight about the surgery, including how it was developed and where it was performed. Surprise, it’s not quite the way Senator Johnson made it sound. Johnson used his daughter’s surgery to scare people away from supporting the ACA. In March, 2012, Johnson claimed that the ‘healthcare freedom’ he enjoyed when his daughter was born would soon be a thing of the past, thanks to Obamacare. “I would not have run for the U.S. Senate had Obamacare not been passed,” he told CNSnews.com. He went on to say that his daughter’s story “has a happy ending because we had that freedom.” Johnson even claimed that the ACA was an attack on ‘healthcare freedom’. The doctor who performed Johnson’s daughter’s surgery came forward with the facts. By now you have probably figured out that much of what republicans say is simply not true. 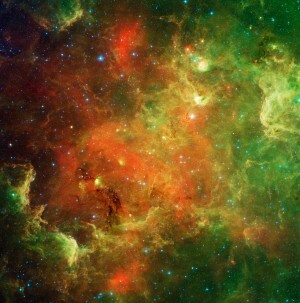 In this case, however, it turns out there’s more than the usual amount of manipulation of facts. Doctor John Foker, the physician who performed the operation on Senator Johnson’s daughter was recently interviewed by Jud Lounsbury, a reporter with Uppity Wisconsin. It turns out the doctor completely disagrees with Johnson’s statements regarding the Affordable Care Act.